So you're ready to make a change. You're ready to get into a consistent workout routine and feel great! For most of us, this can be a very exciting but nerve-wracking time. You're eager to get started, but also nervous and intimidated to get started. This is exactly why we created our Women's Group Training Program here at Dynamic. We know women want to feel better. We know they want to get stronger and improve their health and fitness. But where do they start? How do they start? And who is going to support and guide them? 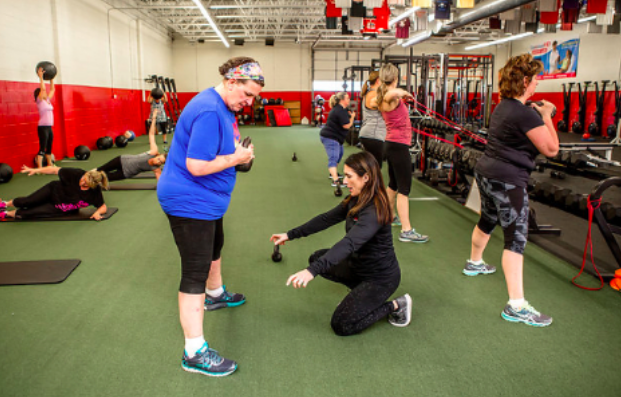 Our mission is to provide the best individual training for all of our members, regardless of their ability or fitness level, in the most fun and supportive environment imaginable! We are in the business of changing lives, not in the business of gym memberships. 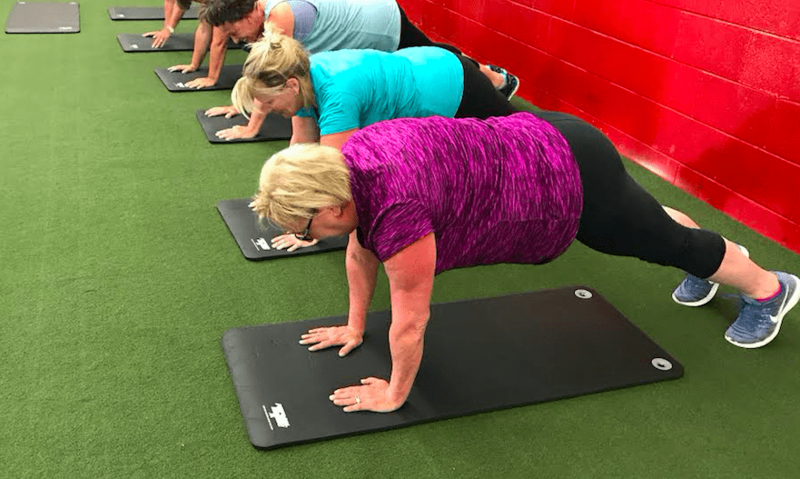 Still, there are many people who want to join our program and transform their bodies but feel intimidated, nervous and sometimes even ashamed to get started. And our members do too. They felt the exact same way in fact! We recently asked our members to describe how they felt before their first class. We know starting a new exercise routine or exercising for the first time can be intimidating. We know it can be confusing. We also know it can be lonely on your own and often times tough to self motivate. Think of us as your workout tour guides! We are here to help 100% of the way! 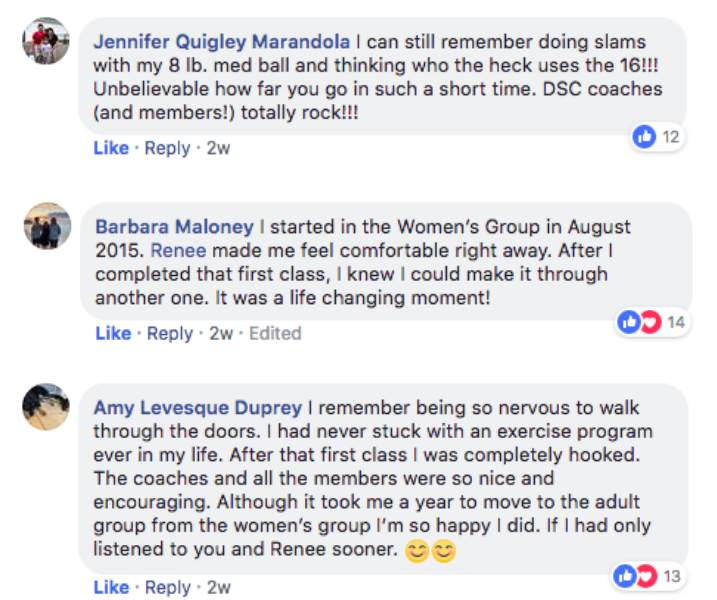 To help you get a better idea of what DSC's Women's Group is all about and see if it would be a good fit for you, we are covering the 4 most common questions we get from new members. 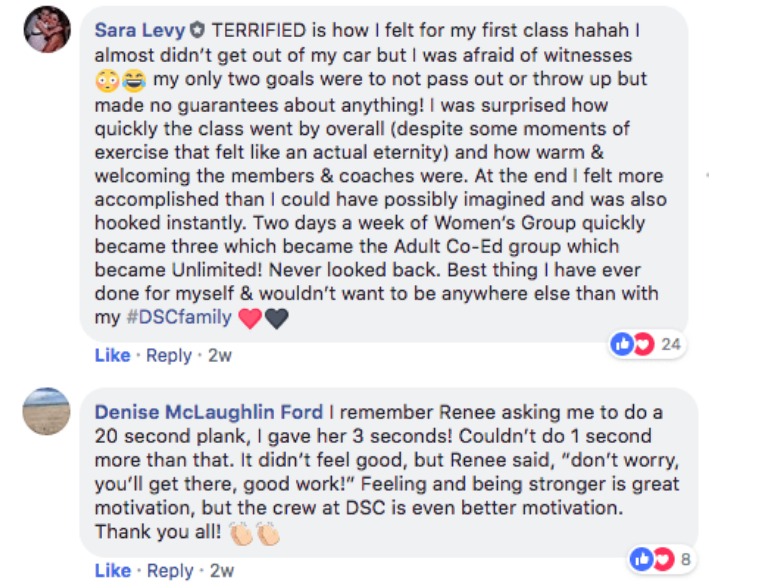 #1 "Do I have to be fit to join DSC's Women's Group?" This is by far the most common question we get from new Women's Group Members. We have new members joining every day. Some have done some working out on their own but most are brand new to exercise. 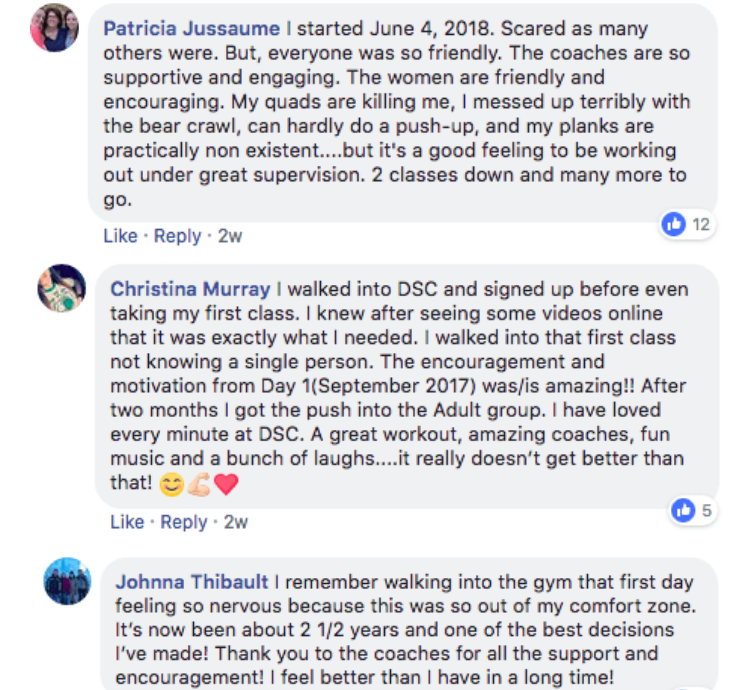 This is truly what makes DSC so unique and what we are most proud of! 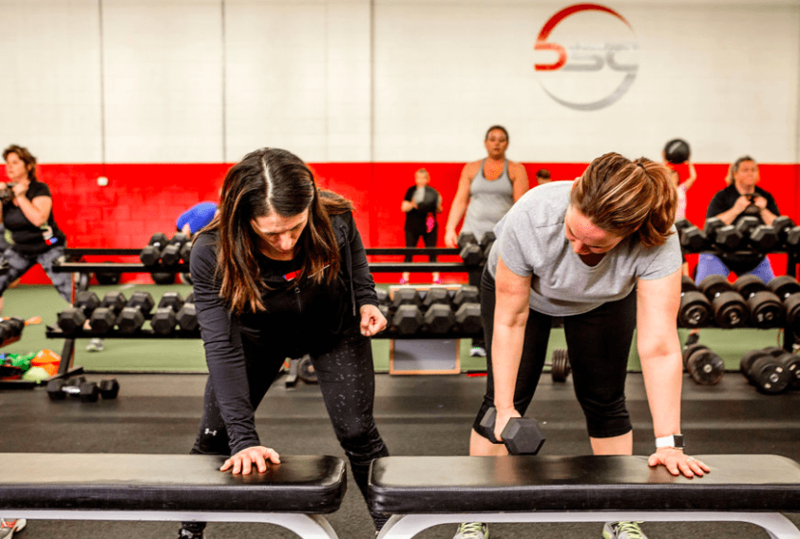 Our goal initially is to take it slow, get you comfortable with the routine, and allow you to get to know your coaches and fellow Women's Group Members. Our coaches make sure our new members get one on one coaching until they are comfortable. We slow the process down, allow you to adjust, learn technique and work at your own pace. From there it is off to the races as we continue to build off the previous sessions. Getting a little better each week leads to some INCREDIBLE long term results! #2 "I've never done anything like this before. Am I going to look silly or slow others down?" This is why we have the coaches we do. 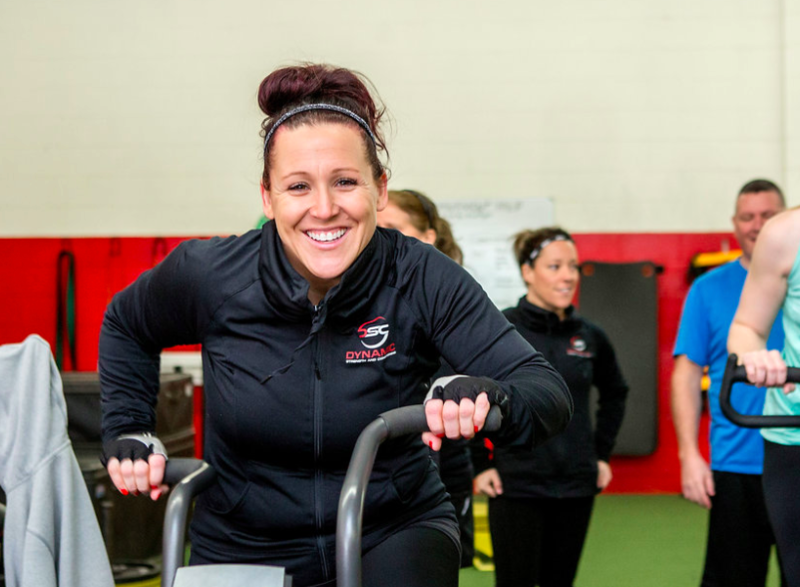 We are here to help you learn the proper positions and techniques of everything we do, to not only get you stronger and more fit, but also drastically decrease your risk of getting injured. Although our classes are done in a group setting, they are always done at your own pace. The supportive environment here at DSC is unlike any other! #3 "I have an old injury. Will I be able to workout?" Most of our Women's Group members join us with some kind of injury or medical history. But what if we were to tell you that improving your fitness and working around your injuries will actually improve your recovery and get you feeling your best? One area we really pride ourselves on is working around and improving new and old injuries to keep our members training hard and seeing fantastic results. Can't get on and off the floor? No issue! Here's a review from one of our Women's Group members who joined with chronic shoulder pain. This is also the main reason why we teamed up with Jamie Morse, owner of Altitude Physical Therapy located inside DSC. #4 "My schedule is crazy. Do I need to commit to certain class times?" Family, friends, summer-time, work, sports, etc. etc. It adds up quick! This is exactly why we offer such flexibility within our class schedules and offer so many class options during the day. Can't make your normal Women's Group class time in the morning? No problem! join us in the evening or on day that works better for you. We are here to get you better and closer to your goals each day you step foot inside Dynamic!